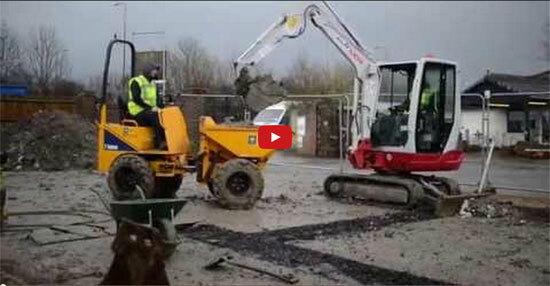 Watch Rob, James and his team at RJ Construction build a show room in hickstead. RJ Construction prides itself on excellent workmanship whether it's an extension or simple property maintenance, landscaping or driveways. We aim to supply good quality materials at a competitive price. We are a Maidstone based company in Kent we also cover the whole south east as far as Essex, Sussex, Hertfordshire and London, so no matter where you are, it won't be a problem. You will be in safe hands with our craftsmanship and excellent reputation. We offer an extremely high quality of work. We are reliable and have excellent customer service and feedback. Our friendly and committed team are always happy to answer any questions or queries you may have at any stage of the building process.